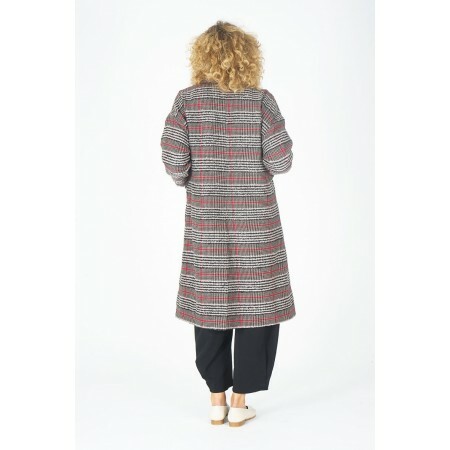 Squared wool coat with lapel collar, dropped sleeve, placket pockets with an opening at the back. One size oversize style (40-44 aprox.). Composition: 60% PES, 20% wool, 20% acrylic.